Elegant, New York Brownstone style North of 4th residence. 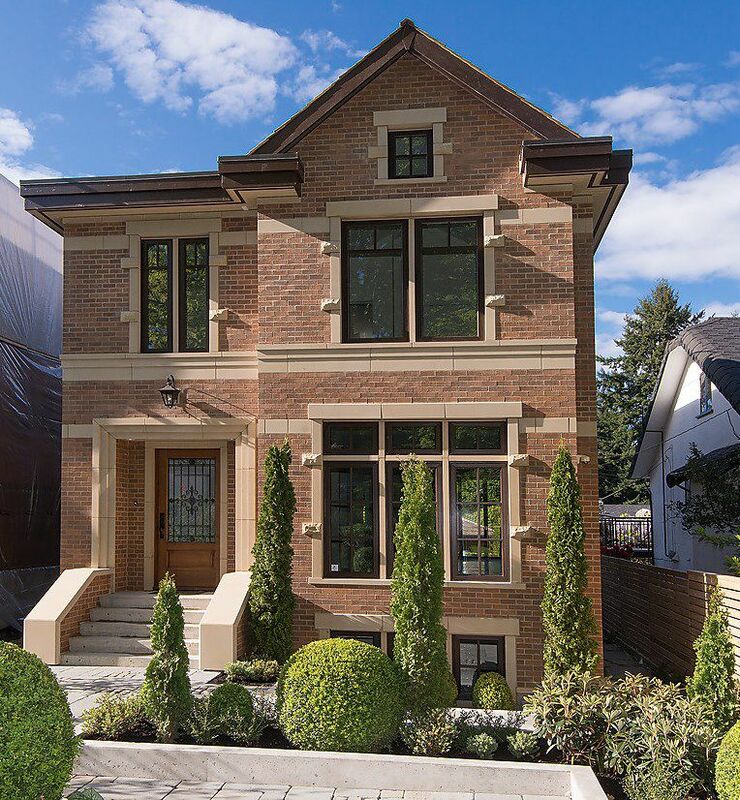 This gorgeous 4 bedroom home was architecturally designed to capture light and space. Fantastic views of the city, harbour and mountains from the main and upper floors. Built with solid brick and sandstone, there was no expense spared with the design and features of this quality built home. Beautiful hand crafted white oak, premium wide plank flooring throughout. Open concept kitchen with exquisite locally made Oak cabinets with soft close feature, and Miele appliances including: fridge with ice maker, double oven, 5 burner gas cooktop, built-in coffee maker, and convection microwave. Custom pantry with lots of built-ins and a laundry chute. 2 Town & Country gas fireplaces with handmade mantles on the main. Extensive custom millwork throughout. Imported German EuroLine Energy Star windows. Forced Air heating with A/C for the summer months. HRV. Hot water in seconds with the NAVIEN High Efficiency condensing boiler with electric holding tank. Hide-a-hose built-in vacuum including kick vac. LUTRON Lighting throughout that can all be controlled from your iPhone or central iPad located on the main floor. Charging station in front hall closet for all of your handheld devices. Sonance Speakers throughout. State of the art security with 5 cameras located around the property with a standalone camera for the front gate. 3 bedrooms on the upper level each with their own ensuite plus additional den/baby's room/bedroom. Stunning views from the large Master bedroom. Breathtaking master bathroom with Herringbone tile on the floor, spa shower with rain head and side body sprays, free-standing tub, and Carrera marble countertops. Custom built walk-in closet with safe and laundry chute. 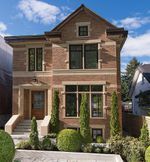 Lower level offers a bedroom with ensuite perfect for in-laws or nanny with separate entrance and patio, open concept mudroom with custom cabinetry, a sizeable Oak wine cellar, and a recreation room with surround system perfect for a large media/theatre room. A dream laundry room with MIELE side by side washer/dryer and folding counter. Laundry chutes on all floors. Open roof deck with magnificent water and city views, LED lighting, 2 gas hook ups, and TREK decking. Landscaping by Rose and Pistols. Truly a stunning home built with the utmost pride and craftsmanship. Refer to attachments for more quality features. "The house was built to fit within the height restrictions set out by the city of Vancouver . The front roof which is shingled , was extended as far North as allowed and then it had to drop in height . The same would be true for the property to the East. Essentially, any pitched roof on the neighbouring property would have to drop down like this house which would prevent any view loss . Given the views , it is highly likely that any development to the East would incorporate a roof top deck in the design. Properties East of this property slowly slope away which is a benefit as well."